Turn to Maid Envy in Houston, Texas, for all of your cleaning needs. Let us work together to create a cleaning plan that is right for you. We offer both residential and commercial cleaning services and cleanings are guaranteed. Learn more and schedule your cleaning service today! Call us for a free estimate or schedule an on-site visit. All Rooms - We dust all furniture, wall hangings, fixtures including fans, window blinds, baseboards and windowsills; remove all cobwebs, clean glass surfaces and mirrors; empty wastebaskets, vacuum floors and baseboards, mop floors and change all bed linens. Upon request, we also provide laundry services on all removed bed linens, while on site. Bathrooms - In the bathroom, we clean and sanitize the bathtub, shower, counters, sinks, and toilet, as well as clean and shine all mirrors and fixtures. We dust baseboards and windowsills, vacuum and mop floors. Kitchen - In the kitchen, we clean and sanitize large and small appliances, microwaves, stove tops, counters, tables, and chairs. We perform general tidy up, empty and reload dishwasher, vacuum floor and baseboards, and mop floors. Let us design a plan that is right for you. All custom cleaning is quoted separately. Laundry services, on-site or pickup/drop-off services are available and quoted separately. Maid Envy provides all of the necessary equipment and cleaning products to properly care for your home or property. We use environmentally friendly products that are natural or green certified. These products are safe and will not compromise the indoor air quality of your home. While these products are effective and smell great, their odors are not strong and do not linger. Maid Envy practices green cleaning methods that safeguard your home from the potential of spreading harmful germs. We use Hepa vacuums designed for professional cleaning, color coded microfiber cleaning clothes for specific areas, and assign wet and dry cleaning days to each maid. We do not clean up after pets, ensuring not to transfer germs from home to home and we follow CDC guidelines for hand washing to reduce the spreading of bacteria within your home. 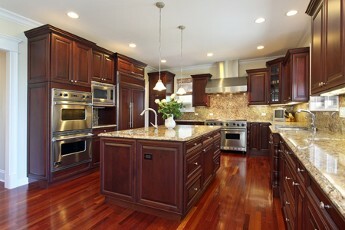 Remodeling/Handyman and New Construction Services available. Please ask your Maid Envy Sales Representative for more information. Contact us for more information about our house or office cleaning services.